i am in the season of life where a lot of my friends are either pregnant or just had a baby in the last six months. 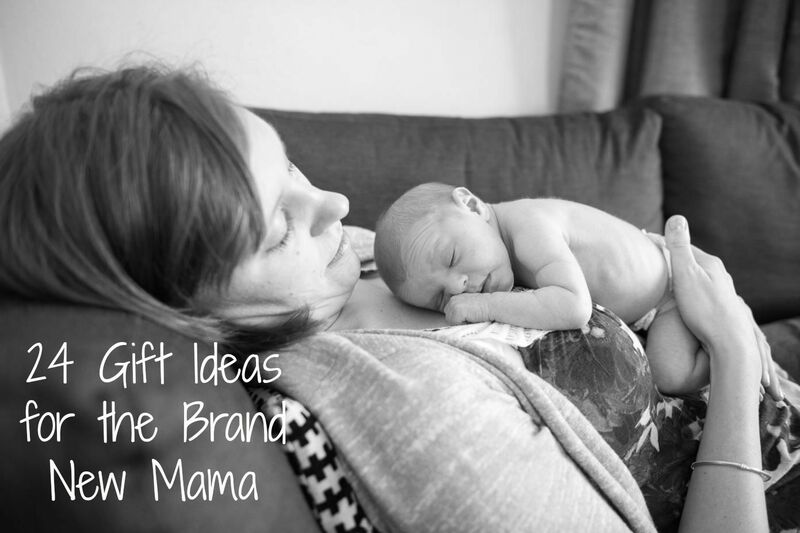 i was at target picking up a few things to get for a new mama friend and the more i shopped the more i kept wanting to grab all the things i wanted or had my first year that made a real difference. this list was made without me even thinking about it. save it for your future new mama friends. i can guarantee she already has enough onesies. energy bars or cut up fresh fruit or baby bell cheese or trail mix – she will forget to feed herself with a new baby around. and if she is nursing she needs to feed herself ALL THE TIME to keep her supply up. hand sanitizing spray – for the unexpected visitors. a great water bottle with a straw – easy access and even better if it’s a glass one. chapstick – her lips are bound to get chapped (possibly raw) without it. facial wipes – to feel a little refreshed. a set of thank you card notes – strange but she will need them. a sheet of postage stamps – for said thank you notes. pre (or post)-natal vitamins – great for a nursing mama. an i-Tunes gift card – maybe not for music but for game apps that she finds herself playing on her phone when nursing or feeding. nursing pads – nursing mamas will love you. dry shampoo – showers won’t happen every day so this will make things much easier. lotion – for when her skin gets so so dry. slippers – i lived in my slippers when i had addison. mom’s five second memory journal – a quick jot down of something she wants to remember; she will be happy she did this in the long run. mindless magazines – she will likely find herself with more down time than she knows what to do with. chocolate and wine – for none other than sanity reasons. an offer to hold her baby and let her take a nap, take a shower, go run some errands, etc. maxi-pads – for the first 2-6 weeks after she goes into labor. she likely will have bought some but definitely will have underestimated this. big underwear – for the post delivery. she will absolutely appreciate this.